Falken drift driver and 2017 Formula Drift Champion James Deane returns to the defend his title crown this week at the opening round of Formula Drift, which takes place on 6-7 April 2018 at Long Beach, California. 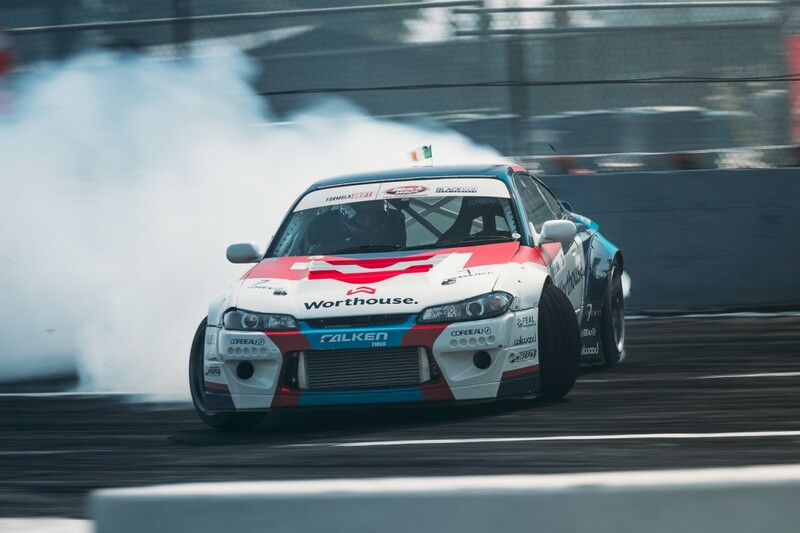 The Irish driver will race for the Worthouse Drift Team in his Falken Tire Nissan S15 drift car. 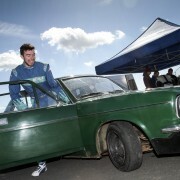 He steered the car to four victories during the 2017 season, which led to his championship title and Falken being named Tire Manufacturer Champion for the second consecutive year. The 2018 Formula Drift season consists of eight rounds across the USA, beginning this weekend and concluding at Irwindale, California, in October. Deane will contest in his S15 Nissan Silvia drift car, which runs on Falken RT615K+ tyres. As well as contesting in Formula Drift, Deane will also compete in the 2018 Drift Masters European Championship, which consists of six rounds, beginning in June in Plock, Poland, and concludes with a home event for Deane at Mondello Park, Ireland. 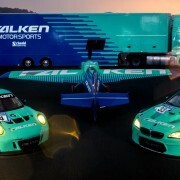 He’ll compete in his Falken Tyre Nissan S14, which features the iconic blue and teal Falken livery.